Around 75 Clubs with nearly 90 courses available to players of any handicap and gusto. No other region in Europe has more golfing locations available than the Costa del Sol or better known as the Costa del Golf. You have the choice of around 75 Clubs with nearly 90 courses that are available to players of any handicap and gusto. 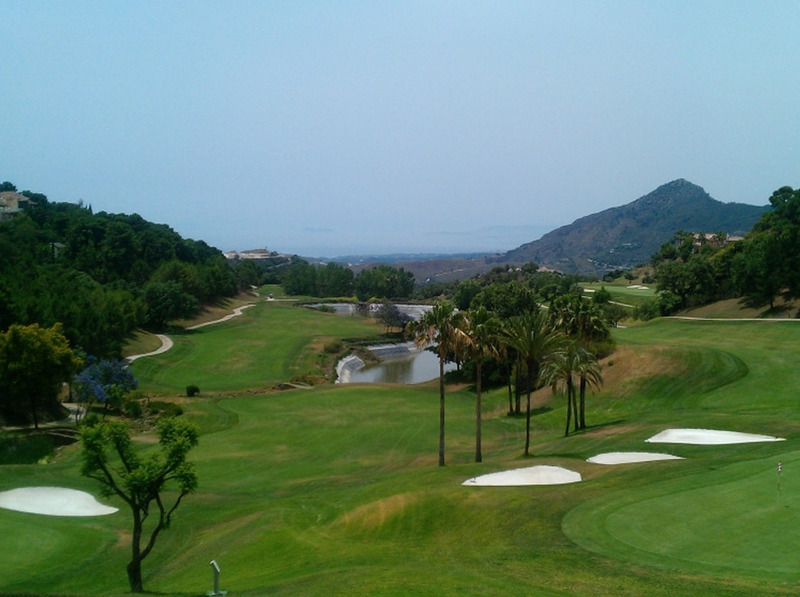 Benahavis itself has 7 golf clubs and around 15 more Golf Courses within a 10 – 15 minute drive of your Hotel Amanhavis. Please do inform us of your handicap, your preferred day to play and approximate time and we can recommend and book the courses accordingly. For golf sets rentals we recommend Test and Rent. The owners are very enthusiastic golfers and would be happy to recommend and assist you with your golf arrangements. Please advise us as early as possible of your wishes, preferably before arrival. Valle Romano Golf & Resort - 18 holes. Simply contact us before your arrival and we'll help you out with your golf arrangements. Voted in 2003 as one of the Top Ten Restaurants of Andalucia.